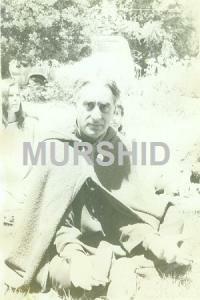 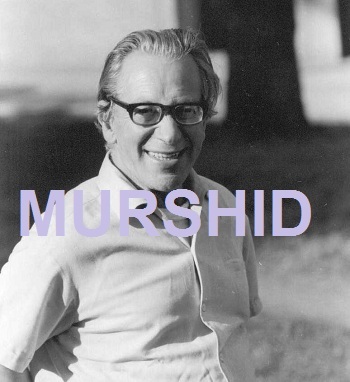 This was shot the same day it became known that Pir Vilayat had alienated the affections of my wife; therefore, the title; as you can see, Murshid gave me a look of compassion. 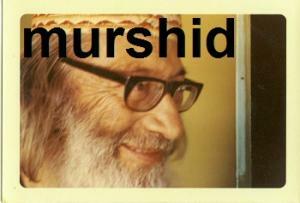 This side view of Murshid in the meditation room at the Garden of Inayat is special because of his smile and his eyes. 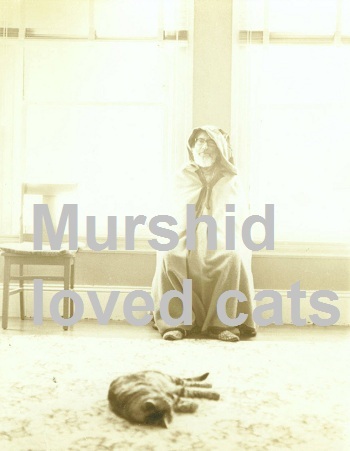 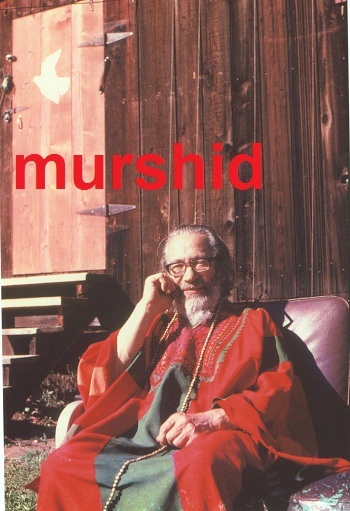 Taken at the Mentorgarden in San Francisco, this photo shows that Murshid like Sokei-an Sasaki lived with and loved cats. 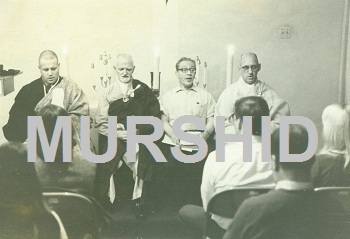 This photo was taken at Pir Vilayat's first meditation retreat with Sam's kids at the Olompali Ranch, which today is known as the Olompali State Park.